VILLA 200 METERS FROM THE SEA, IN RESIDENCE WITH SWIMMING POOL. On two levels. E 'LOCATED IN FULLY ENCLOSED RESIDENCE WITH SWIMMING POOL. PARKING IN RESIDENCE. THE VILLA AND 'MADE UP OF A GROUND FLOOR AND A BASEMENT IS SUBJECT, WITH SEPARATE ENTRANCE. SCALE TO THE RIGHT OF THE GROUND FLOOR DOOR ON A TERRACE. - A large living room with kitchenette; IN LIVING ROOM ARE A SOFA BED, A SINGLE BED AND A FOLDING BED. VILLA PERIODICALLY INHABITED BY THE OWNER, AVAILABLE TO RENT IN THE PERIODS OF ABSENCE; WE INVITE YOU TO CHECK THE AVAILABILITY OF THE PROPERTY. THE POOL IS OPEN IN THE MONTHS OF JULY AND AUGUST. Ostuni is 'Blue Flag' 2018. WI-FI coverage throughout the home. Beautiful location right by the beach! Great location off the beaten path. 5 min walk to the beach and a beautiful pool right in our backyard. Great for our 2 families! The ONLY downside was it didn’t have air conditioning so it got a little stuffy one night. This villa has the best of both worlds, a swimming pool and beach metres away. Very easily accesable from the motorway. "A beautiful area of Italy. The apartment is clean and provided with everything you need for a great holiday. 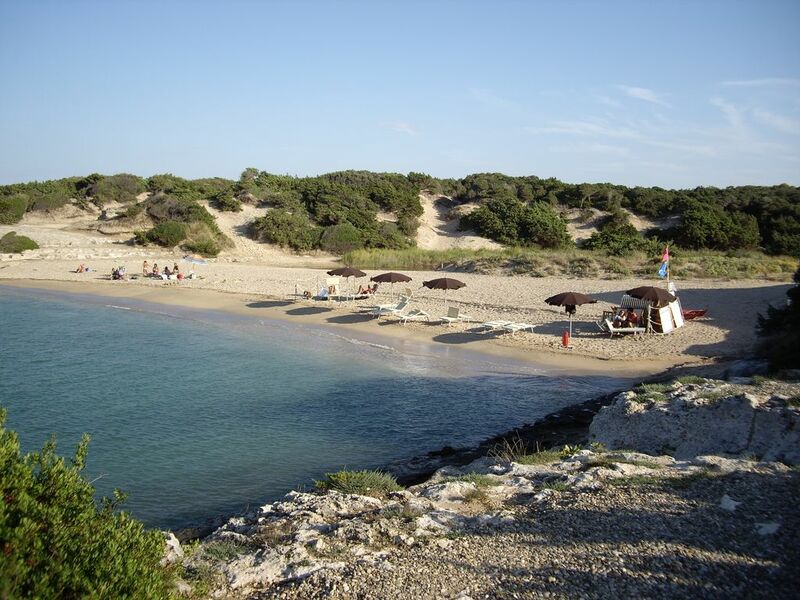 Right at the beach and also great places are near ( birindsi, alberello, ostuni). Angelo is very kind and helpfull. A good stay for a wonderful time." "We had the most relaxing fortnight.nearby sandy beaches,immaculate complex swimming pool and large shaded terrace were all we needed.The nearby town of Ostuni was great to visit , with many nice shops and restaurants.The owner,was most welcoming and helpful.both the adults and children rated this as one of the best holidays ever.we hope to return again!" "The Villa was clean, spacious and well equipped, The owner Angelo was incredibly friendly and helpful, unfortunately in september the pool is empty but the sea and beaches nearby were lovely. We enjoyed our stay so much we are planning to return next year." Consegna delle chiavi da parte del Proprietario . Consumi di energia elettrica inclusi per 50 kw a settimana .